Cornish Mines Underground 1: I have been going underground since the age of 15, I am now in my 50’s and still going when I can. My friend Dave also started around the same age, we work well together underground. It is imperative you have somebody to rely on. As a result we work well together and we trust each others judgement. I also know if I had a problem I could rely on Dave to get me out. However, even with all these years of experience, we never take undue risks, we are as safe as we can be, and somebody always knows where we are. 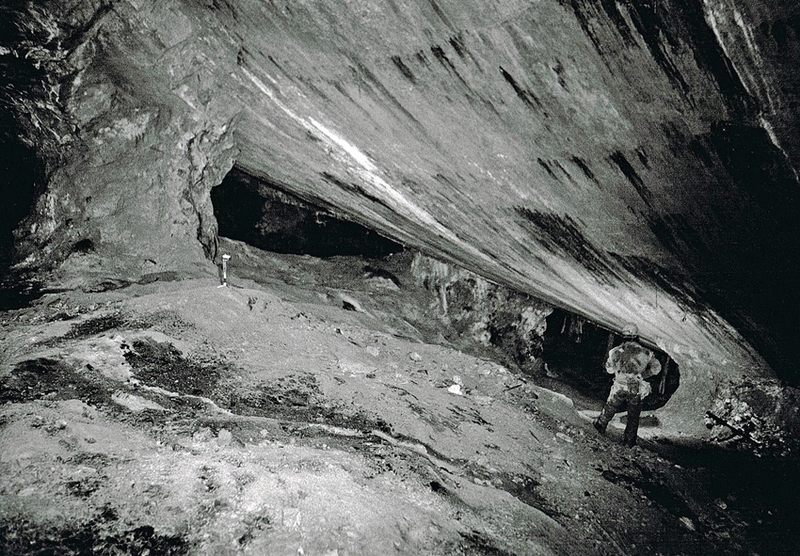 The images on this page were taken in an abandoned C19th Copper Mine near to the village of Chacewater. The Copper and Tin workings here date back to the 1880’s when the mine closed. 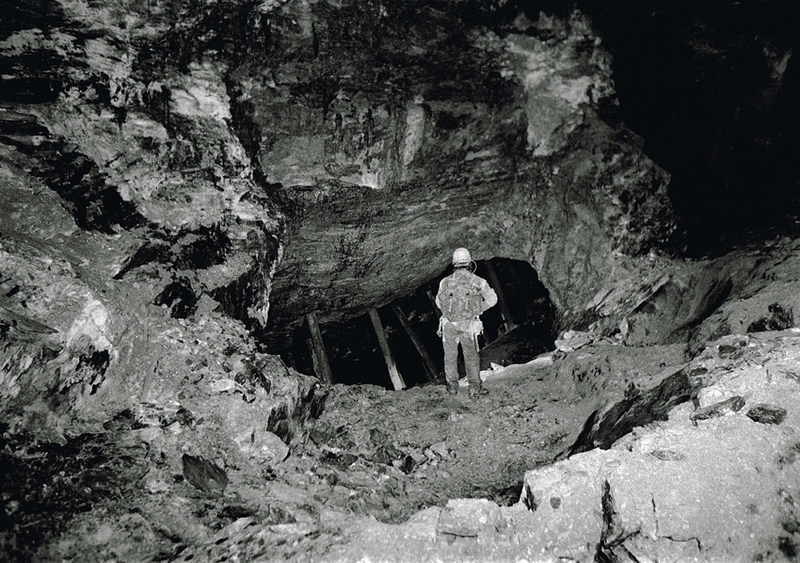 However they were re-entered at later times in the mine’s history during the 1970’s and 80’s when other mines in the area were operating. 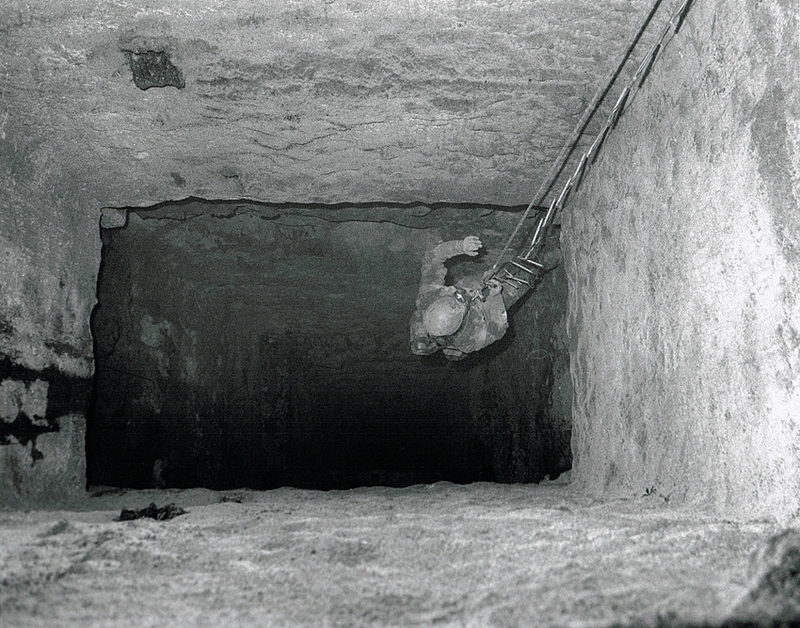 Cornish Mines Underground 1.1- Dave descending the shaft into the workings, around 220ft to surface. The shaft used to be laddered but these have subsequently rotted away and collapsed to the bottom. Cornish Mines Underground 1.2- Dave happily posing for this picture. 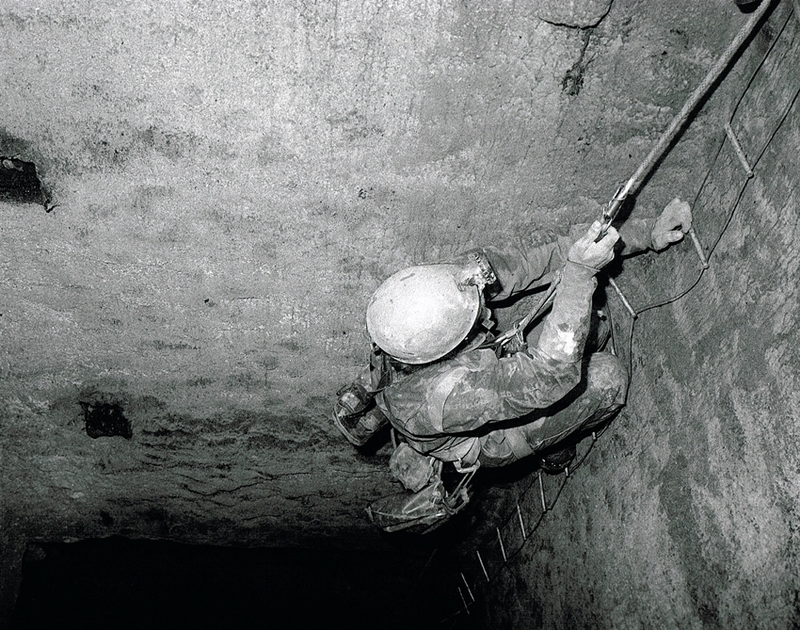 One of the collapsed ladders is behind him. Cornish Mines Underground 1.3- Almost at the bottom, the shaft opens up at the bottom into a large chamber. 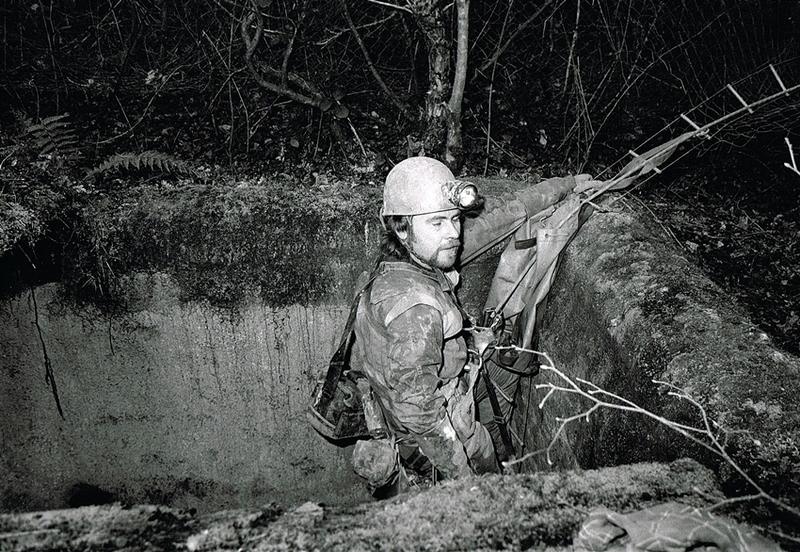 Cornish Mines Underground 1.4- Dave just at the bottom of the shaft, the pile of old ladders can be seen clearly. Behind him wooden stemples help support the rock. Cornish Mines Underground 1.5- Turning around from the entry shaft this is the first view into the workings. Ahead is a flooded section, in the background is a ladder which leads to an upper level. 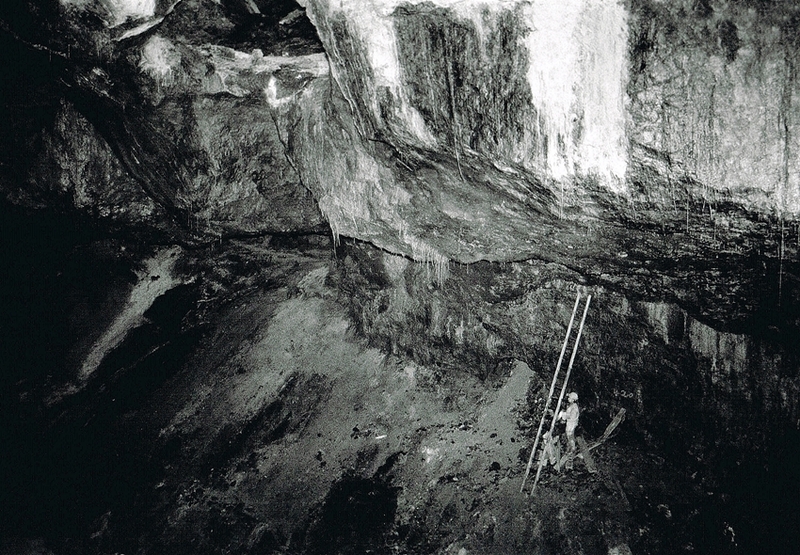 Cornish Mines Underground 1.6- Below the entrance shaft chamber is this incredible sight. The whole of the roof supporting the floor above is like an underground forest of timber. Quite an amazing thing to see. Cornish Mines Underground 1.7- I turned off all the lights held the camera shutter open and had Dave fire the flashgun to achieve this interesting effect. The colours underground caused by mineral deposits can be incredible, when using Black and White film the impact of this is lost. 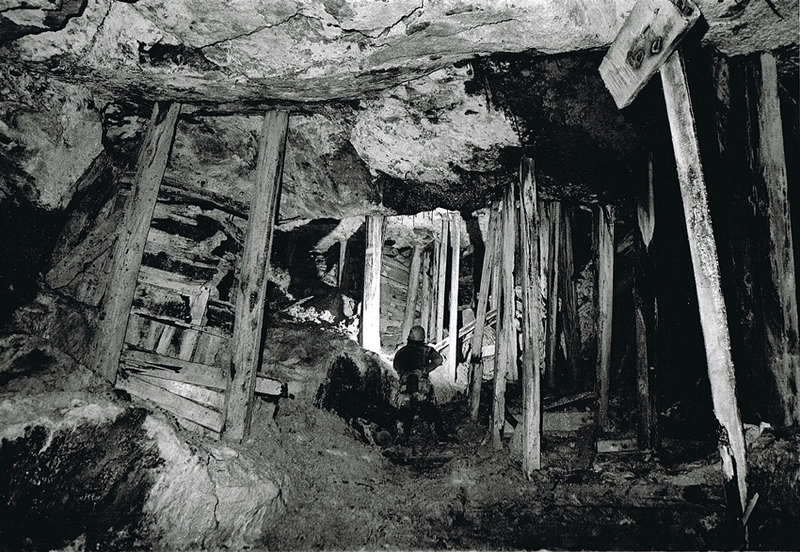 However, the detail and atmosphere of a monochrome image can really capture the “feel” of the Mine. Cornish Mines Underground 1.8- The floor here was nothing but mud and unstable boulders. Dave is not having fun sliding down the slope. 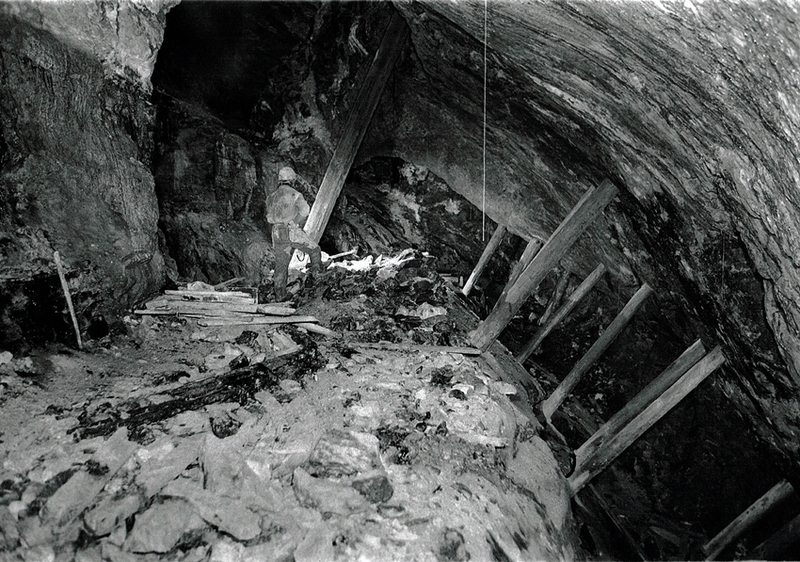 Cornish Mines Underground 1.9- Along the lower level is a timbered ladderway leading down to the mine’s deep drainage adit. Below where Dave is standing the workings are flooded to the roof. 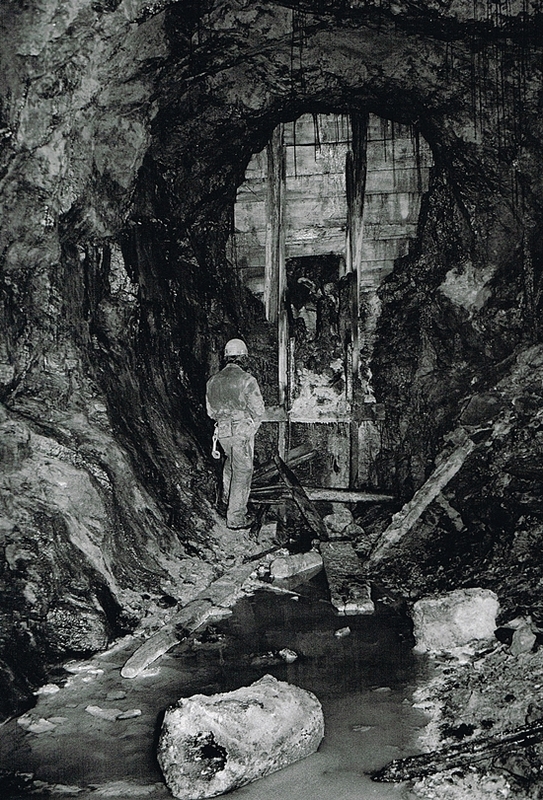 Cornish Mines Underground 1.10 – Some of the workings are quite wet which is why correct clothing to go underground is necessary. 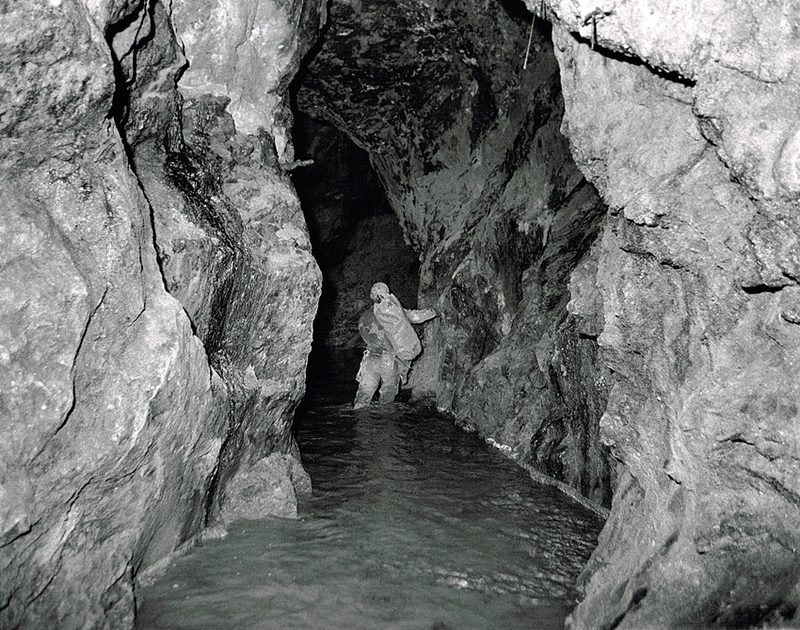 Cornish Mines Underground 1.11 – All good clean fun walking through the water. However it is likely to be highly acidic due to the Sulphide Minerals that have been dissolved in it. 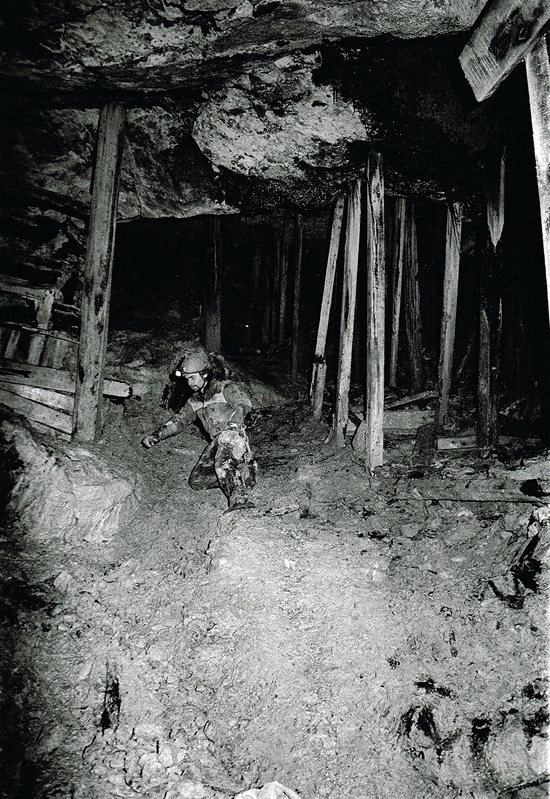 Cornish Mines Underground 1.12 – Dave is standing in front of a steep incline heading down into a forest of timber supports. 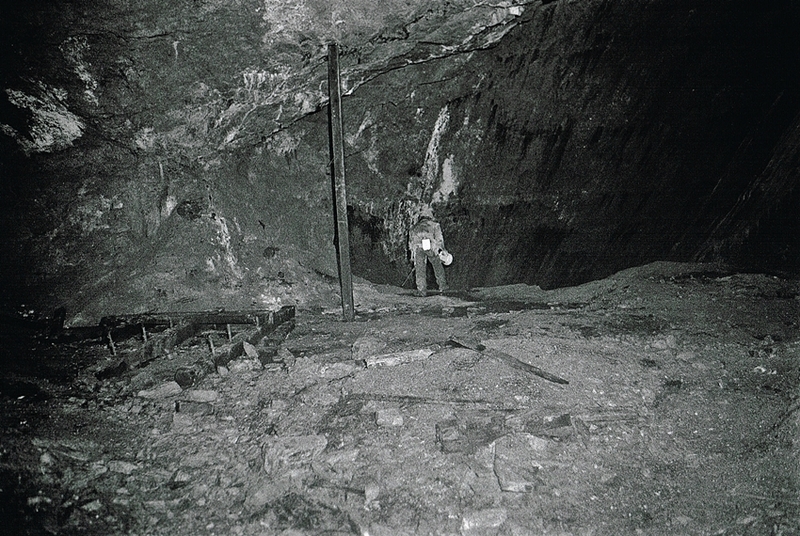 Cornish Mines Underground 1.13 – This image is of Dave walking up to a place where the miners removed the ore to a smooth face of a hanging wall. Quite amazing to look at. 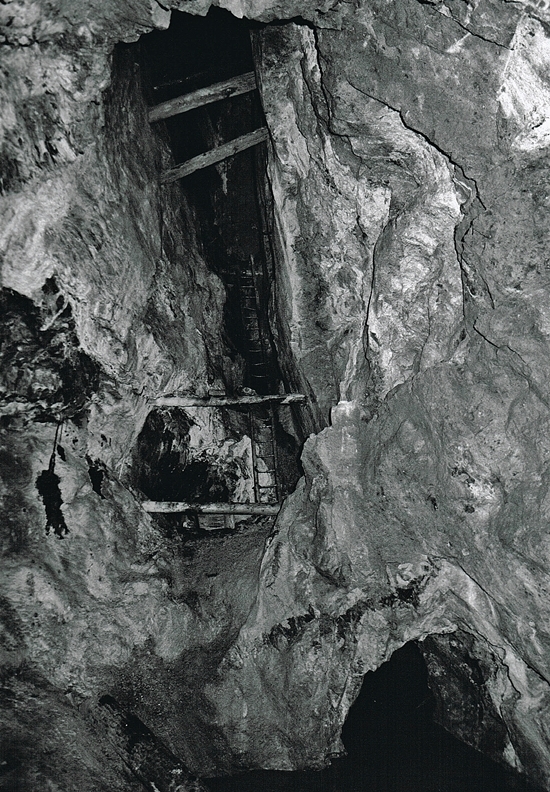 Cornish Mines Underground 1.14 – A more detailed image of the hanging wall in this section of the mine. Cornish Mines Underground 1.15 – Sometimes it is good to just look. There is always the question, how did the miners using only candles, do all this? 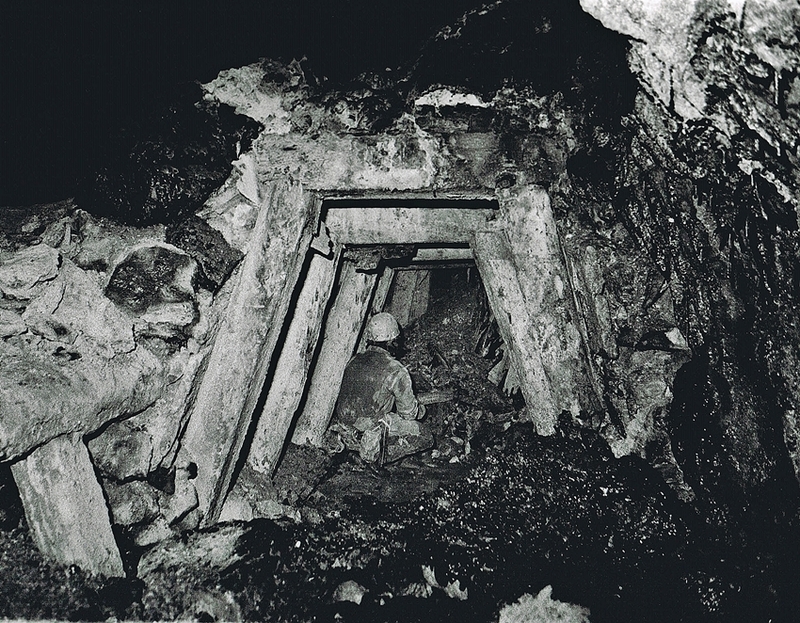 Cornish Mines Underground 1.16 – This must have been a valuable ore deposit. It’s almost mined in random holes in the wall. 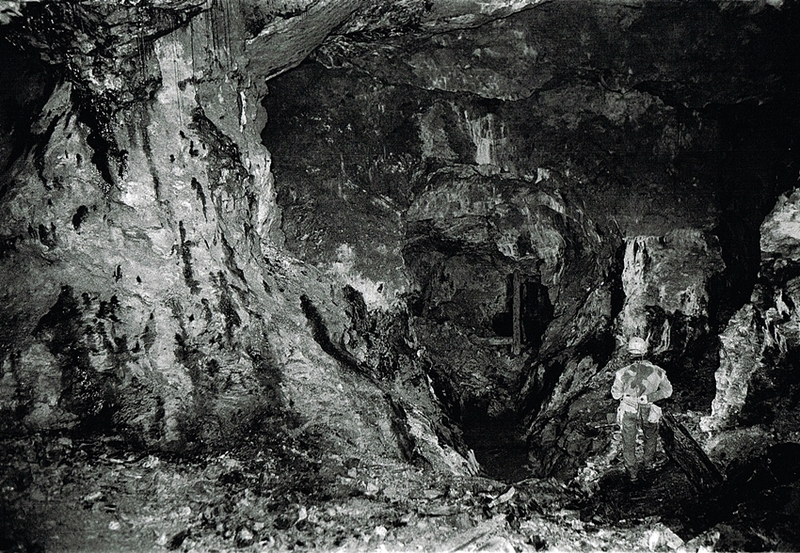 Cornish Mines Underground 1.17 – Although a large chamber, however this is small compared to some the the areas of the mine. 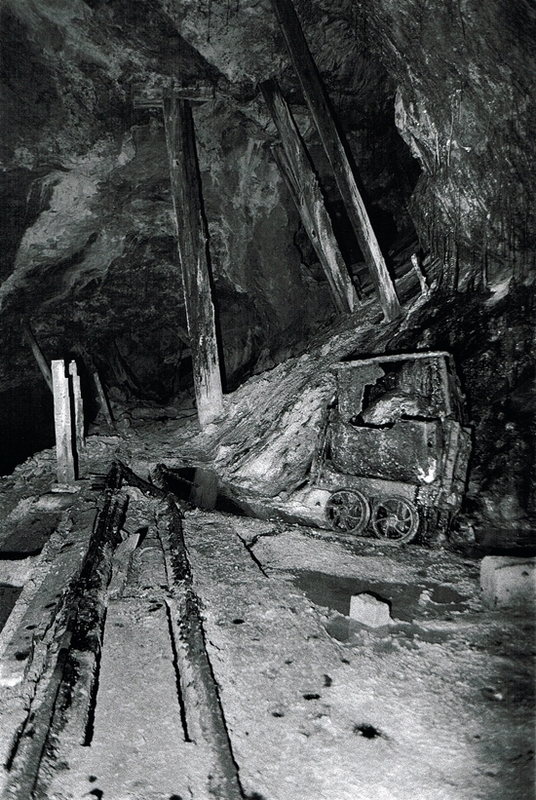 Cornish Mines Underground 1.18 – This was a very low section of the mine, the roof is held up with a huge amount of large timbers. A tramway leads into this forest of timbers. 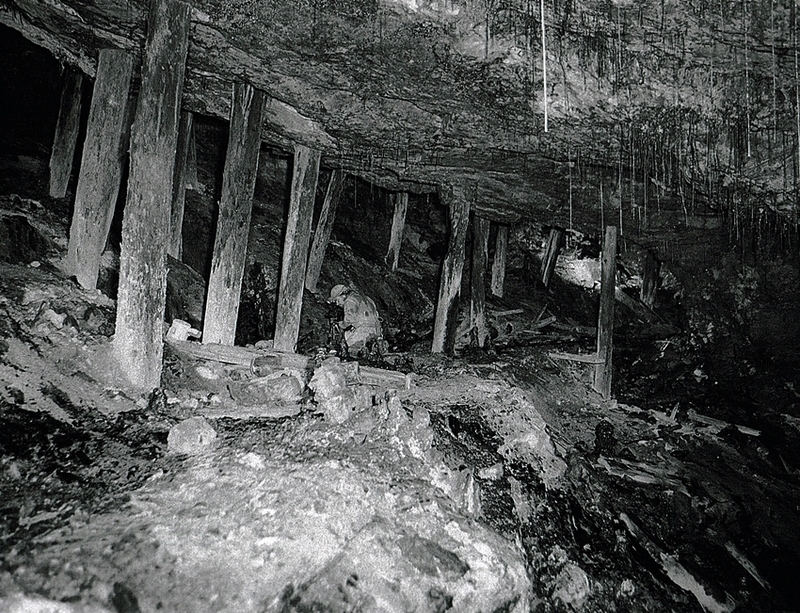 Cornish Mines Underground 1.19 – Many formations are hanging down from the roof. These have taken years to grow and should never be intentionally touched. 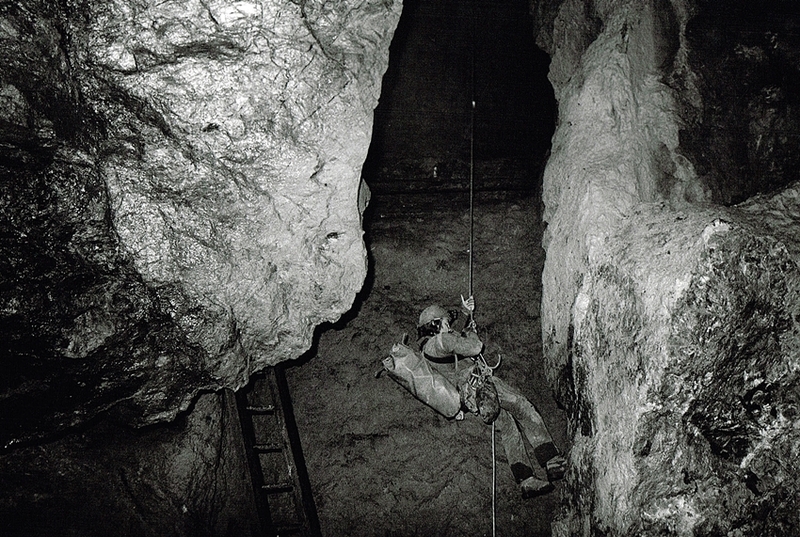 Cornish Mines Underground 1.20 – This is Dave kneeling in front of a collapsed tramming level in the base of a stope. 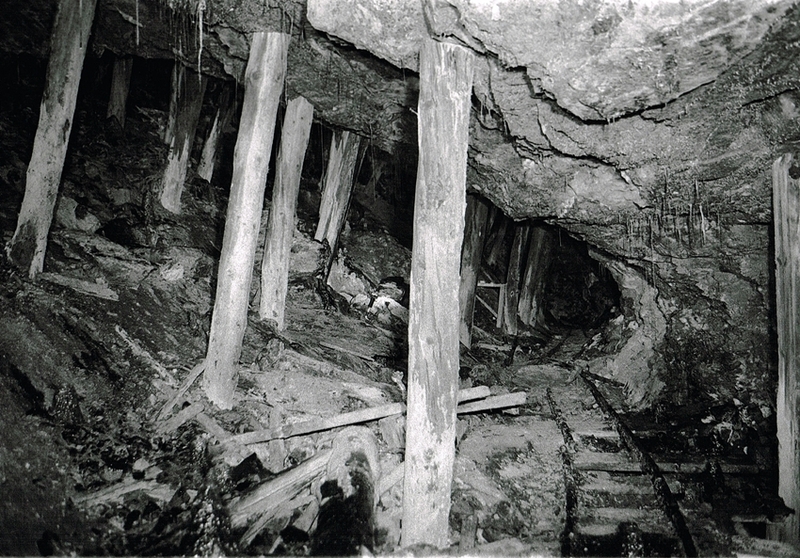 Cornish Mines Underground 1.21 – An old, quite impressive Cousin Jack Chute.Here the mined ore would have been poured into wagons for transportation to the surface. 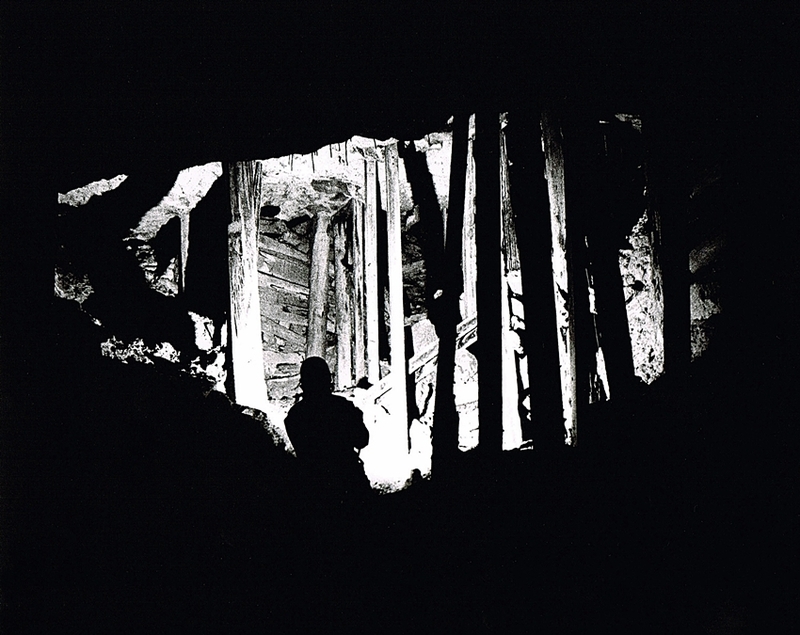 Cornish Mines Underground 1.22 – Sometimes you see a sight that will take your breath away. Like something out of Indiana Jones an old wagon sits on the track rotting away. There are huge timbers here holding up the roof, underneath we are walking on an elevate timber platform. 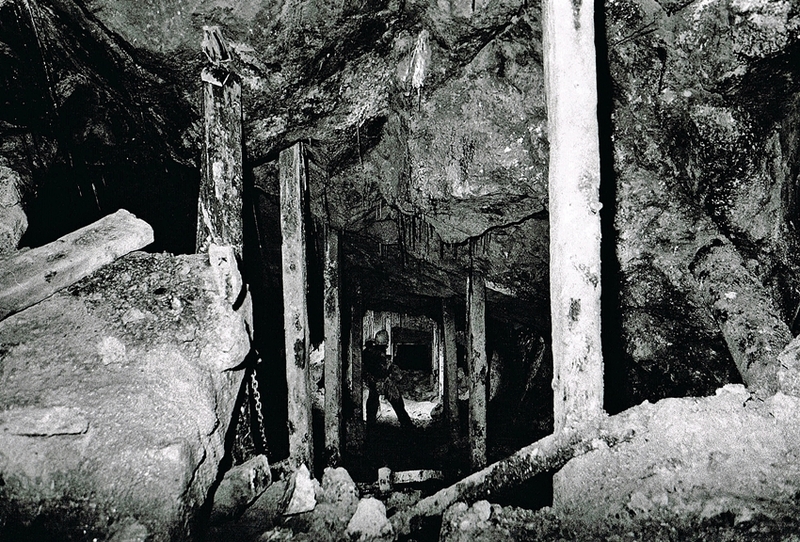 Cornish Mines Underground 1.23 – An incredible open area. 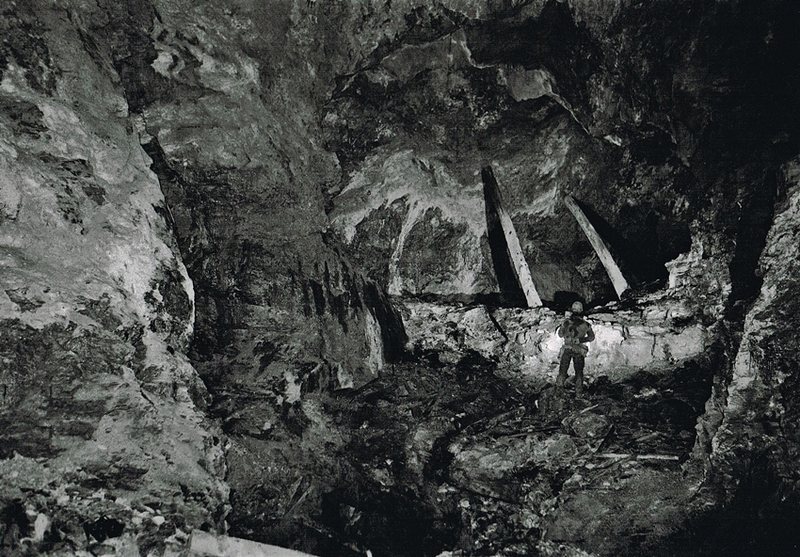 Cornish Mines Underground 1.24 – Another image of the same stope from a different angle. 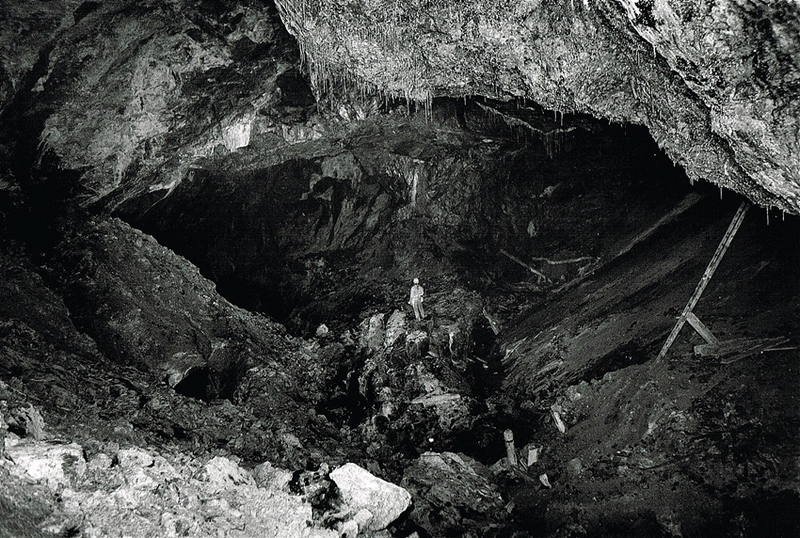 This was mined out by men with candles on their heads, no idea of the huge cavern they were creating. 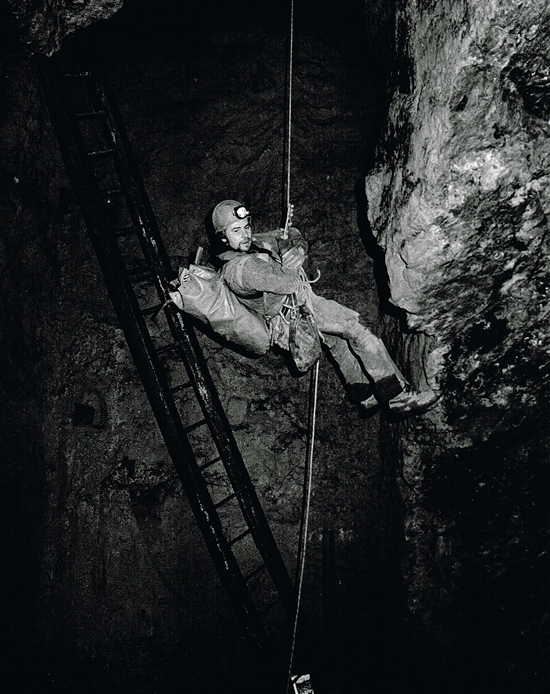 Cornish Mine Underground 1.25 – Having abseiled down a rope into a mine, the real hard work is getting back up. 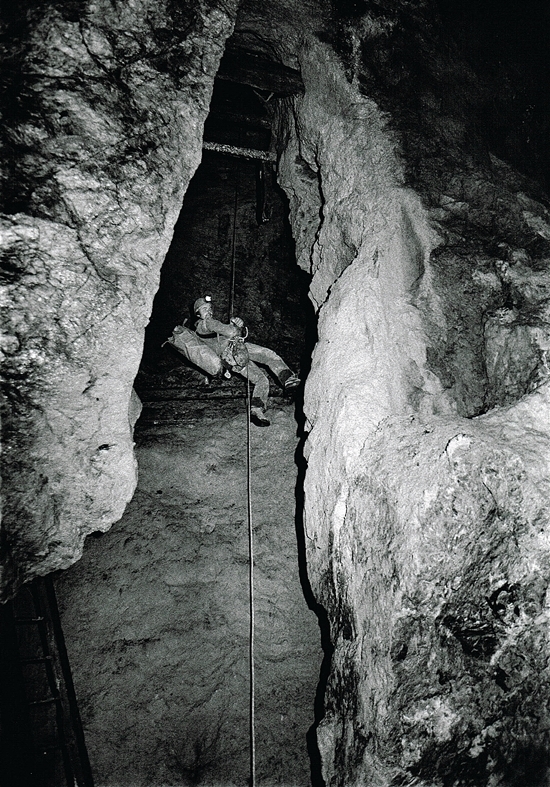 This is Dave almost at the top of the shaft, there is an electron wire ladder hanging down as well. Consequently this makes getting out the top much easier. 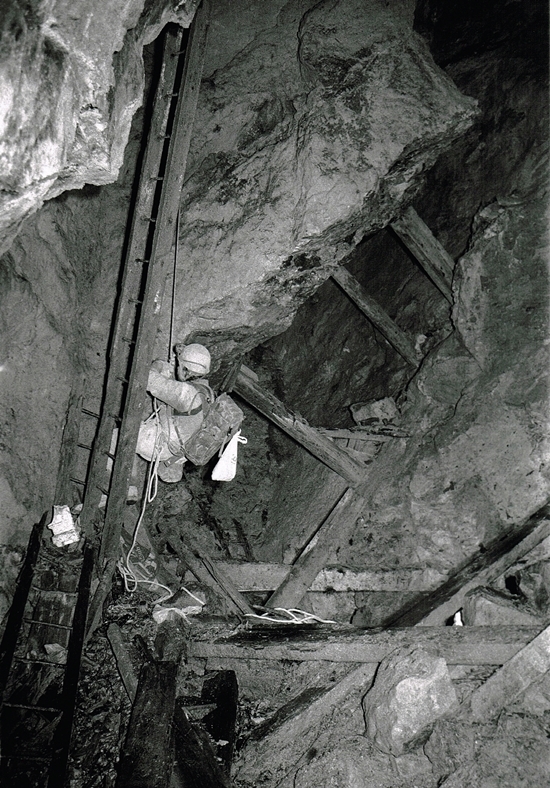 Cornish Mine Underground 1.26 – Dave is on the ladder and nearing the top of the shaft. He is still attached to the rope so he is perfectly safe. Cornish Mine Underground 1.27 – At the shaft collar at last, it is always a relief to get out of any mine safety. Even though we know what we are doing accidents can happen at anytime. I must say again, NEVER enter old Mine Workings without the correct training, experience and equipment, the fact that the images are on the following pages DOES NOT infer access or permission. 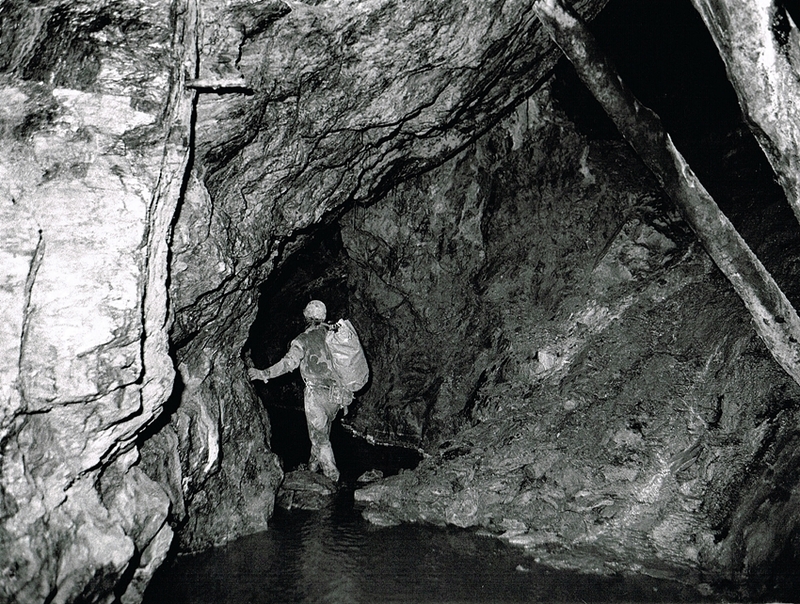 There are many groups in Cornwall active in underground exploration. Please check on the internet and go underground in safety with experienced explorers, never take risks, never just pop in for a look.